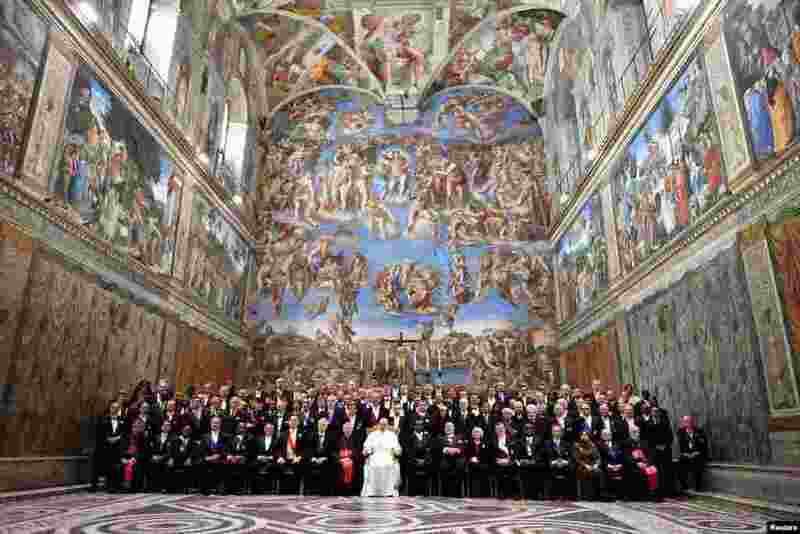 5 Pope Francis poses with members of the diplomatic corps accredited to the Holy See at the end of an audience for the traditional exchange of New Year greetings, in the Sistine Chapel at the Vatican. 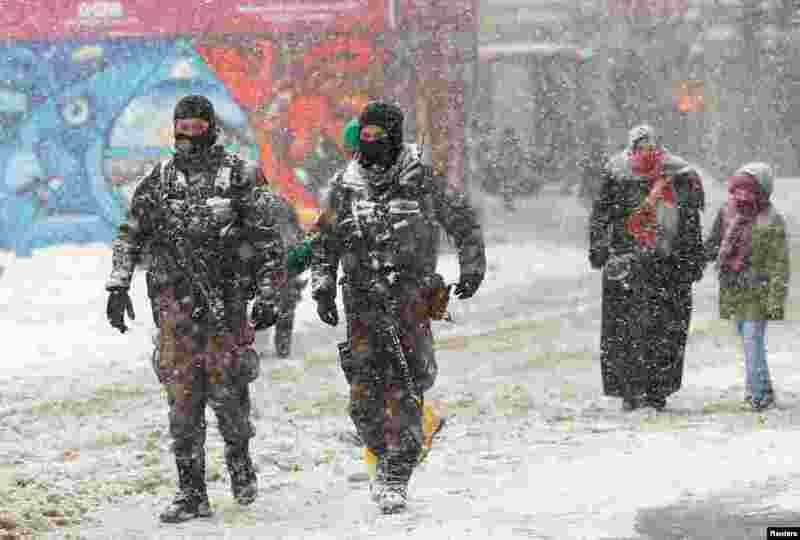 6 Members of police special forces patrol at the main shopping and pedestrian street of Istiklal during a snowfall in central Istanbul, Turkey. 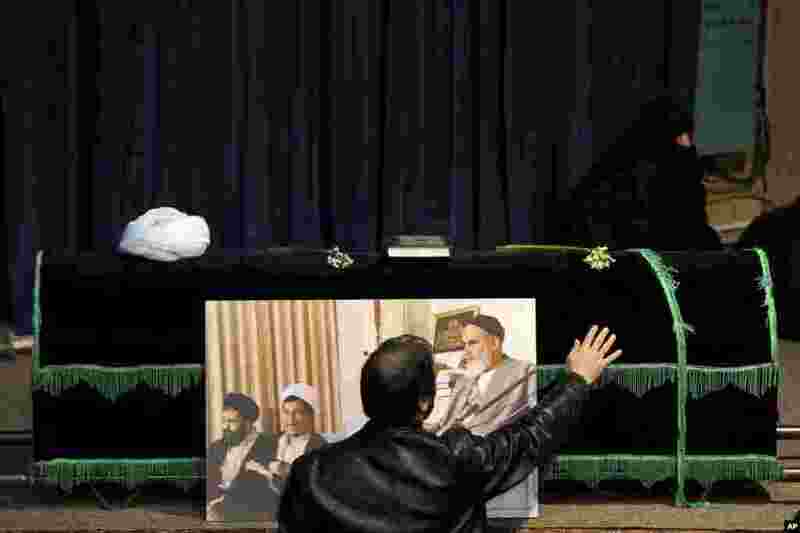 7 A man touches the coffin of former Iranian President Akbar Hashemi Rafsanjani, who died after suffering a heart attack, at the Jamaran mosque in north Tehran, Iran. 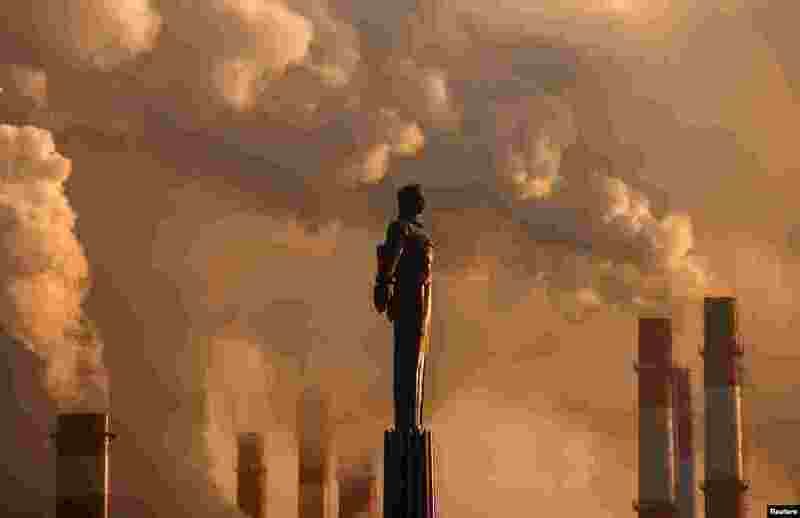 8 Steam rises from chimneys of a heating power plant near a monument of Soviet cosmonaut Yuri Gagarin, the first man in space, during sunset in Moscow, Russia.